Gardner Tackle is a company who understands that nature never remains constant and that fish are always learning, so a tackle company must constantly develop innovative new products in order to keep one step ahead. Gardner has been committed to this since its conception in 1980, and continually strives to beat its personal goals year on year, season on season. Founder Richard Gardner, himself an avid angler and carp fanatic, set out to produce tackle that continued to exceed the expectation of the angler on the bank, every time they cast their line. This ethos right from the beginning of the company’s life has meant that Gardner has garnered itself a reputation for being innovators of quality tackle. This reputation has lasted over 30 years, and, since the first piece of the tackle the company produced, the standard Gardner sets itself has grown year on year. 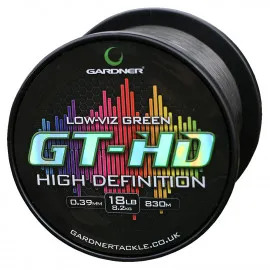 As one of the first companies in the UK who focussed purely on carp fishing, many of Gardner’s original products are products that we now take as standard today. Gardner is continually raising the bar for top quality terminal tackle, and its standard is one that the industry is forced to match time on time. Gardner has always been a family run business, and remains this way to this day. This means their ethos has been passed through the generations, growing in strength rather than waning. Each member of the Gardner Tackle family is an avid angler, and their minds are on carp fishing from the moment they wake in the morning until the moment they rest their head on the pillow in the evening. This directly shows in the quality of Gardner’s tackle. Gardner’s dedicated Carp Fishing Team are constantly refining and further developing its products, testing each product on the bank so you can be assured that the final product you receive is the very best. Gardner’s Carp Fishing Team includes some of the most respected carp anglers in the country, each of whom have tested Gardner’s products to the very extreme of their abilities. As well as its carp team, Gardner also has a dedicated specimen team to accompany its growing range of specialist specimen tackle. 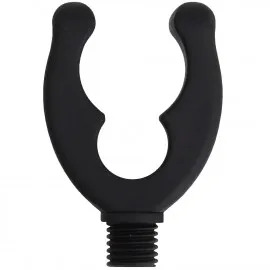 You can now buy specimen hooks, line stops, and other accessories from their Target range. Gardner has a dedicated blog which allows guest anglers to post reviews of products, fisheries, and to give tips and tricks about how to catch the biggest fish. Its Gardner Tackle TV video series not only includes product demonstrations from some of the country’s top anglers but also provides tip and tricks on all aspects of carp fishing. Gardner might be a British company at heart, but it also sells stock across Europe and Japan, making it a truly international company. Gardner has expert teams across Europe who also tests its products, so you can be assured that wherever you may fish around the world that a Gardner product will perform to the maximum. Friends of Gardner include some of the UK’s most prolific carp fishermen who are always on hand to assist Gardner at any stage of its intensive product development process.